CHICAGO, IL--(Marketwired - Dec 5, 2016) - JLL (NYSE: JLL) earned a perfect score on the 2017 Corporate Equality Index (CEI), a national benchmarking survey on corporate policies and practices related to LGBT workplace equality administered by the Human Rights Campaign Foundation. 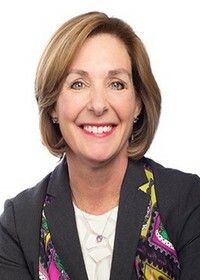 "At JLL, our most valuable asset is our people, and we have made great strides to be a global organization that is inclusive of all backgrounds and experiences," said Mary Bilbrey, Chief Human Resources Officer, Americas. "Achieving another perfect score on the Human Rights Campaign's Corporate Equality Index underscores our efforts to ensure all employees are valued and respected." The 2017 CEI rated 1,043 businesses in the report, which evaluates LGBT-related policies and practices including non-discrimination workplace protections, domestic partner benefits, transgender-inclusive health care benefits, competency programs and public engagement with the LGBT community. 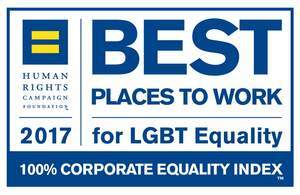 JLL's efforts in satisfying all of the CEI's criteria result in the designation as a Best Place to Work for LGBT Equality.